It has been awhile since I did a Friday Faves post so I figured I’d play a little bit of catch up on what I’ve been loving as of late. I’m finally getting the hang of my new work schedule so more recipes posts should be coming soon (I hope). 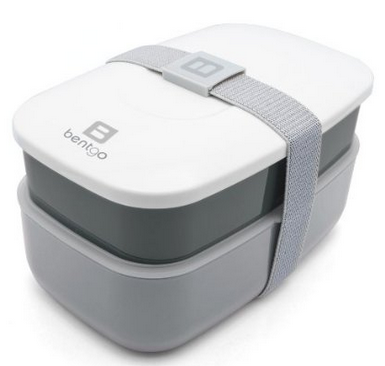 Once I got an office job, I knew I wanted to get a bento box-type lunch box. I’ve wanted one for awhile and couldn’t justify it when I was working from home. So I took to Amazon and settled on the Bentgo one. It’s has been great so far. The top compartment is divided in to two sections so I can store two different things and the bottom is nice and big so it fits leftovers or even a sandwich quite well. Here’s a pic of the Bentgo in action. One of the things I love so far about my work is the proximity to great food options. So far the favorite has to be Sausalito West Coast Grill. It is in Midtown Atlanta and makes THE BEST TACOS. That is not an understatement. If you are in Midtown Atlanta around lunchtime, go check it out. The owner is awesome and the food is great. I have never been a big fan of protein bars. Something about the taste and consistency has always kinda made them bleh to me. But since I now go straight to work out after work sometimes, I need something to eat that will hold me over through a workout. Enter Quest Bars. You can get them online or at GNC and they come in all sorts of flavors. They are the best tasting protein bars I’ve ever had and they are low in carbs and added sugar but full of fiber and protein. So far my favorite is the vanilla almond but the cookies and cream one is a close second. So even though my birthday has come and gone, we celebrated with my parents over the weekend. My mom asked me what I wanted and the first thing that popped in to my mind was her corn casserole. I didn’t really care what else we had with it. I just wanted that corn casserole. It is like crack. So delicious. We had it along with steaks and a salad and it was the perfect birthday meal with my family. 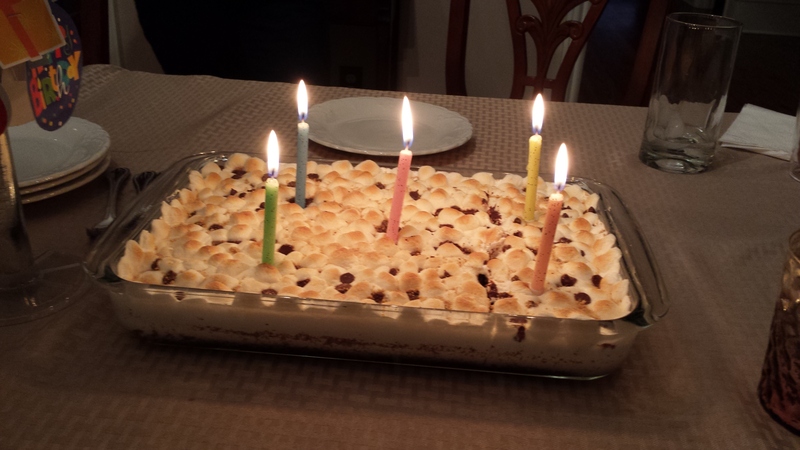 And to top it off, my mom made this delicious s’mores cake. Mmmmm, it was everything that is delicious about a s’more in cake form. I brought the leftovers to my office and they were quickly devoured. So that’s what I’ve been loving as of late. I am slowly finding my groove and should be back to posting regularly again. Eric has even mentioned wanting to do a guest post so maybe you’ll see that coming soon too! 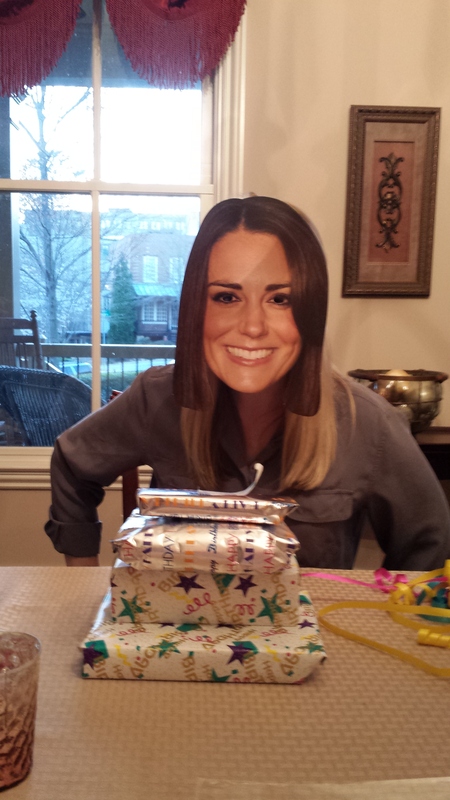 And I will leave you with quite possibly the best gift I have ever received — a Kate Middleton mask. I know I have been a bit absent from blogging these past few weeks, but sometimes life just gets in the way. I’m going to be sharing some more news on that front next weeks so watch this space. Just because life has been busy doesn’t mean I have been cooking and eating and the like. I still post on Twitter, Facebook and Instagram quite a lot, so be sure to follow me there if you want to stay up to date on all the tasty happenings! 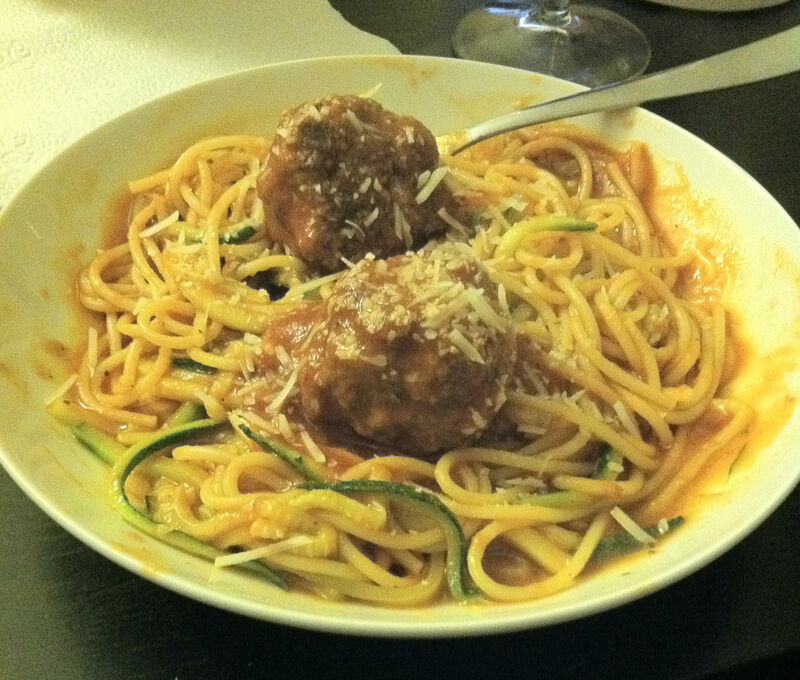 I was a bad food blogger this week. I have not cooked a single dinner at home. We’ve just been busy with dinners out with friends and a work event — but I promise to get back in to the swing of things next week. But I did eat a lot of my homemade sweet potato chips this week. Probably every day. They are just so good and so easy to make. It is kind of unbelievable how I have never thought to do it before. I think next week I might try some apple chips in the microwave so stay tuned. I saw this recipe on The Kitchn last night and can’t stop thinking about it. 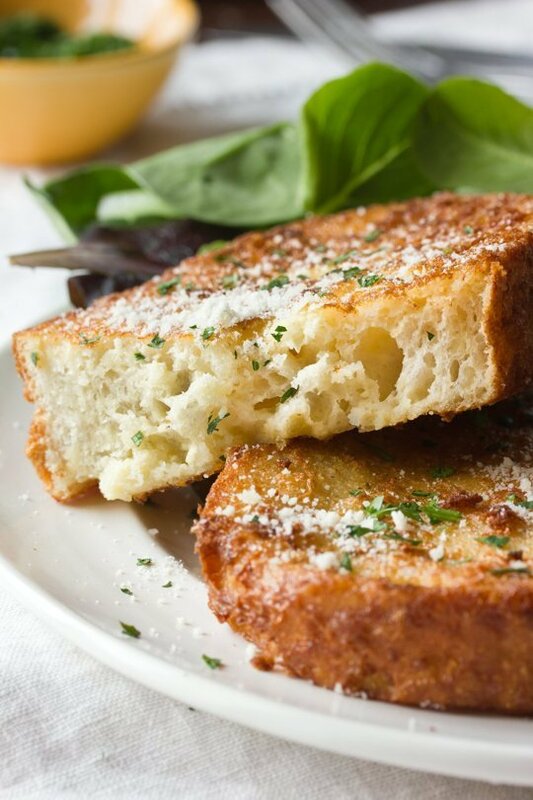 Savory french toast? It makes a lot of sense — french toast doesn’t always have to be sweet. Just look at how amazing it looks. Mouth. Watering. Mmmm. Bread and cheese — always a winning combination. We’re having my parents over for dinner this weekend and I’m going to make a red wine pot roast. The weather’s warmed up here in Atlanta quite a bit, so it’s not exactly pot roast weather anymore. But who cares? It sounds delicious and I can’t wait to make it. If all goes well, I’ll share the recipe with you next week. I’m going to keep this week’s faves short and sweet — or at least I’m going to attempt to.Anyone who knows me knows that I’m not exactly short on words… So let’s see how this goes. As I mentioned back in my fails post, I’m not a huge fan of spaghetti squash. Nothing about it reminds me of pasta and I’m not a huge fan of the taste. But when Eric requested spaghetti and meatballs last weekend, I decided to try another way to bulk up my pasta with veggies — zucchini noodles. I know that you can buy a specific tool for making noodles out of zucchini, but I just used my mandolin to julienne one zucchini into small pieces. I sauteed the “noodles” in a bit of olive oil until they were slightly cooked, but still crunchy (a little al dente) and then mixed them in with my spaghetti and sauce. So good. 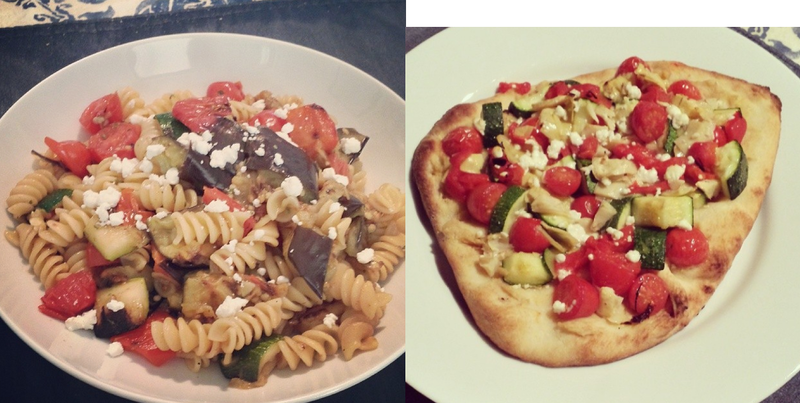 You couldn’t even really notice the difference between the zucchini and the actual pasta. I’m sold. I also whipped up a concoction for lunch yesterday of zucchini noodles, chickpeas and tomatoes and it was quite tasty. After being cooped up inside for three days, we decided to venture out last night for date night. We went to Bistro Niko in Buckhead. We’ve been there before and it was delicious, so we figured, why not? And man, it might have been even tastier this time. We started the meal with these little cheese puffs called gourgeres. I didn’t have time to snap a pic of them because we devoured them. I could eat four baskets of them. It was the perfect ending to a long, snow and ice filled week. If you live in Atlanta and are looking for a good date place, you cannot beat Bistro Niko. This week’s Friday Faves revolves around two of my most favorite things in all the world: goat cheese and tea. It would be hard for me to choose a favorite type of cheese, but goat cheese would definitely be up at the top. If I’m out to dinner and something has goat cheese on it, there is a safe bet I am ordering it. We usually always have goat cheese in our fridge, and last week, La Bonne Vie goat cheese was on sale at Kroger, so I bought two. 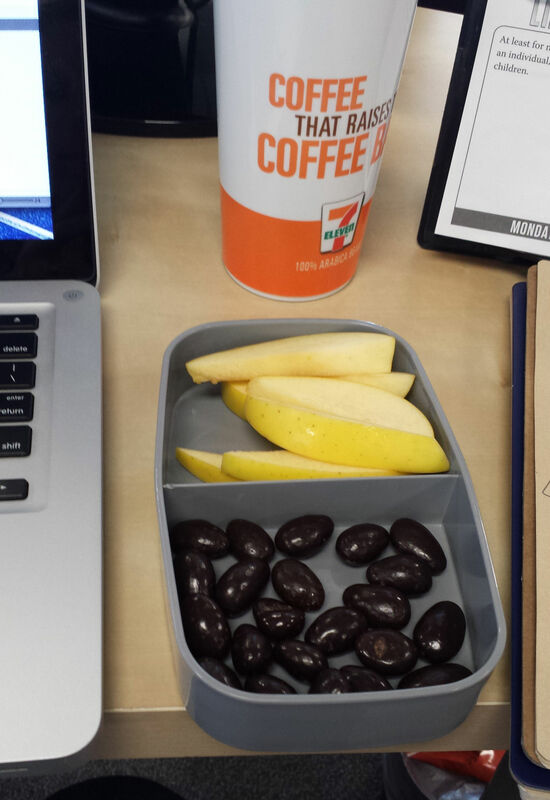 Specifically, those little cheese boxes are what I got. It’s a more spreadable form of goat cheese rather than a crumbly version, and let me just say it is excellent. I’ve been spreading it on whole wheat Wasa crackers as an afternoon snack. Mmmmm. Usually I am eating these crackers and cheese alongside a cup of tea. 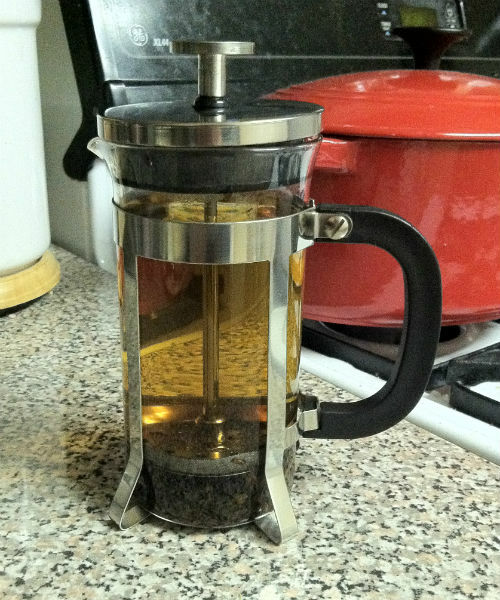 My tea obsession has gotten out of control lately and I blame it all on my new little French press. It is so much easier to make loose leaf tea now. Yes, using a tea ball isn’t exactly complicated, but I just find this so much more enjoyable. I’ve even been opening up tea bags to drop in the tea so I can still use this. I might have a problem. But that’s OK.
My two favorites to brew up are the Maharaja Chai Oolong from Teavana and the Brioche tea from American Tea Room. If you are not a fan of spicy teas, than the Maharaja might not be for you, but cut with a little almond milk, it is so good. And the Brioche tea tastes like a delicious almond croissant. You cannot beat that. The snow in Atlanta has made this week simultaneously feel extremely long and also extremely short. I felt like I blinked and suddenly it was Friday. Which is a good thing. And yet also a bad thing. But anyways, here’s what I’ve been loving this week — very briefly. Why hello, soft boiled goodness. I’ve always wanted to try soft boiled eggs and it’s kinda crazy I just started cooking them. 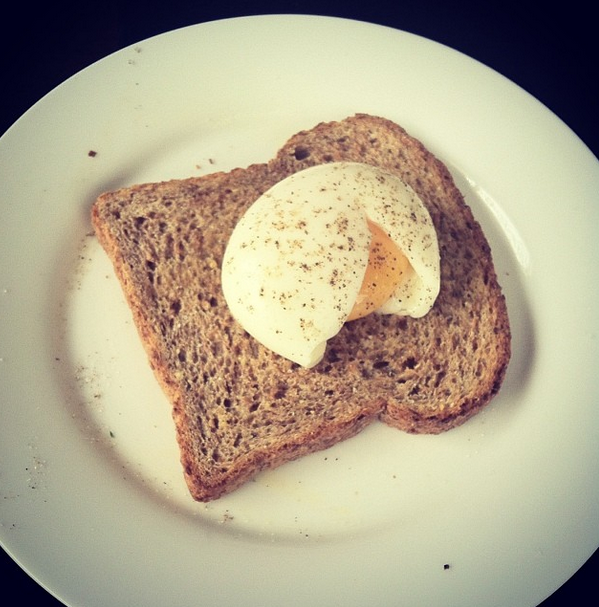 My ideal egg is one with a runny middle and a cooked white so this is pretty much perfect. I’m still ironing out all the kinks in how I make them, but this is what works for me: add a tablespoon of white vinegar to a pot of water and bring to a boil, add egg, boil for 4 minutes and 30 seconds (precision is key), dunk in an ice bath for a minute, peel, eat. I’ve mostly been eating them on toast, but I’d like to try them on other things like veggies, polenta or even some quinoa. It should also be noted that I tried poaching an egg in the microwave with some success. It sounds weird, but it works. Do any of you watch “Top Chef?” Without fail, I will watch every season of the original show (now really big on “Top Chef: Masters, however). Well any of my fellow “Top Chef” watchers might appreciate this. After the episode this week, I noted that Hugh Acheson hadn’t really been on much this season. Maybe this is me, and maybe I am biased since he is an Georgia-based chef, but I felt a serious lack of Hugh. So I tweeted about it. And Hugh Acheson favorited the tweet. Needless to say, I was geeking out. This is one of the many reasons I love Twitter. Luckily, it looks like Hugh will be on the season finale next week so the Hugh drought will be over.